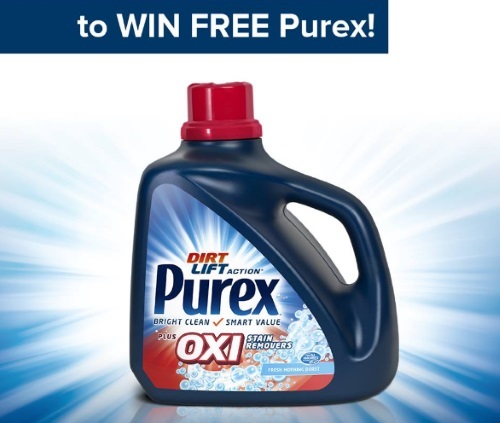 Purex is giving away a bottle of Purex Oxi Plus detergent! 5 winners will be selected to get a coupon for a Free bottle! To enter, just repost their Facebook Page post found at the link below. Contest closes June 7 2016. Limit 1 entry per person.